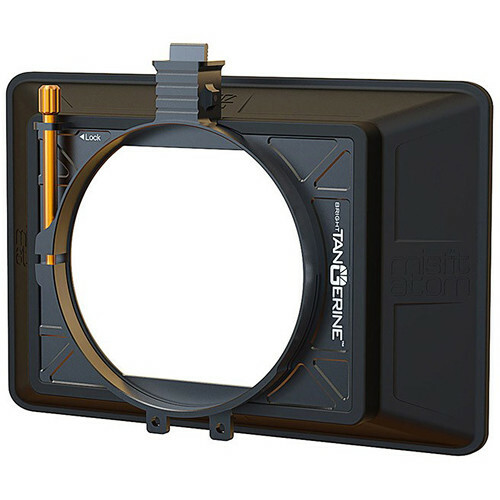 The Misfit Atom 4×5.65″ / 4×4″ Ultra Lightweight 2-Stage Clip-On Matte Box from Bright Tangerineis a small, lightweight yet strong, clamp-on matte box for lenses with an outer diameter of up to 114mm. 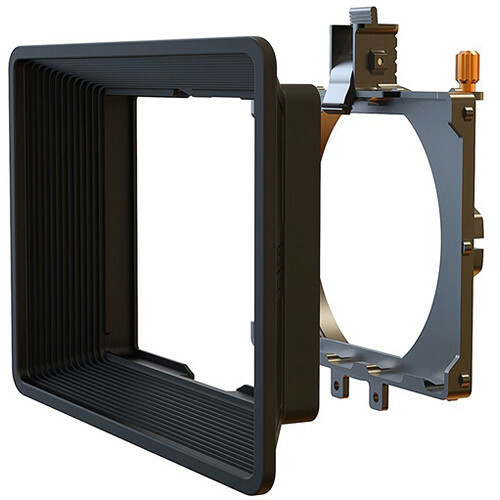 It holds up to two 4×4 or 4×5.65″ filters without using filter trays, and it provides a wide field of view suitable for many wide-angle lenses even with two filters mounted. The removable flexible hood is built to hold its shape over time, even in temperature extremes. 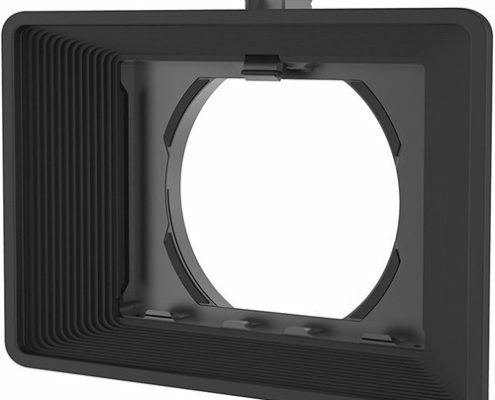 The matte box with hood weighs in at under 7 ounces, only 3.5 ounces without the hood. This makes the matte box suitable for use with gimbals and Steadicams, and the removable hood makes the matte box an excellent choice for aerial shooting. Made of aluminum, stainless steel, and an elasto polymer, the Misfit Atom is designed to be extremely strong and lightweigt. It clamps on lenses with an outer diameter of 114mm, or smaller if you use step up adapter rings, not included. 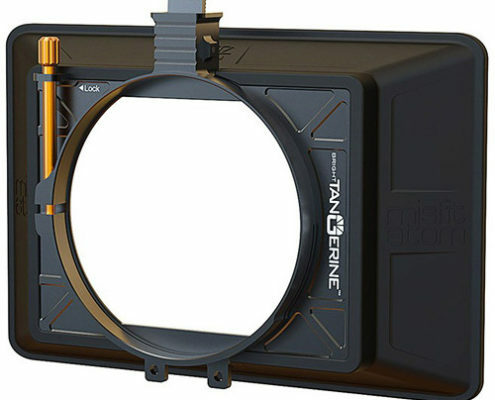 To prevent the matte box from rotating while you focus or zoom, be certain to use lenses with an internal focus design. 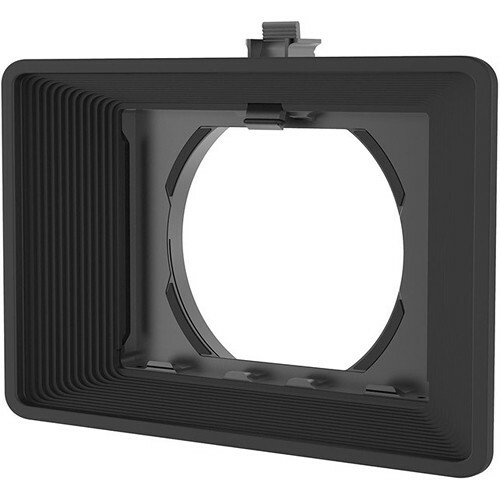 You can securely insert up to two 4×4″, 4×5.65″, or a combination of those filters directly into the matte box without using a filter tray. 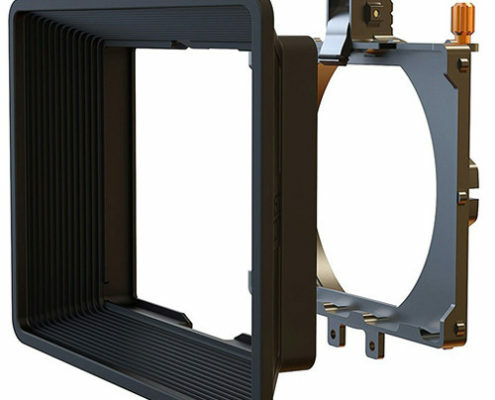 A spring-loaded clamp at the top of the matte box secures the filters so they will not fall out unexpectedly.